Anytime there are plants and lights it’s going to be a great night! This was true once again at “Lusio Lights” at Seattle’s Volunteer Park Conservatory. Sensebellum was invited out for the last edition of the year to really round out the main rooms with rich color through event lighting while adding in some of the Arborealis Tree Lights and exhibiting the Microscopia art installation. This was a perfect match. The colorful lighting provided a great backdrop for all the eager folks who strolled through the space over two nights. 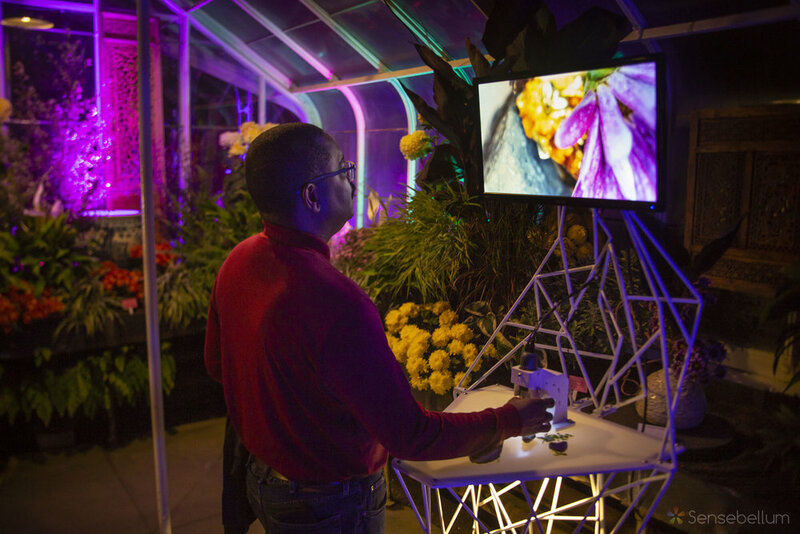 The slightly modern aesthetic of the LED light fixtures as well as the geometry of the Microscopia art installation were a great contrast to the timeless forms of the plants as well as provided a contemporary point to jump off from into the natural world. Thank you to the Conservatory for hosting, Mollie Bryan for organizing, and to all the wonderful people who came by to enjoy the scene! 360º Projection Mapping at "On ICE!" 2018 a smash hit once again!